We love that you've found the love of babywearing! While wearing your babies will make your life easier by letting you be hands free, we want to ensure that all our babies are carried in most safest and comfortable way for both the wearer and the wearee. Our #1 recommendation will always be "follow the manufacturer's guide." The carriers you buy from us will be tested, approved, and compliant to be sold safely as a babywearing sling/carrier/wrap. It will come with a guide and sizing recommendations can be found on this website as well as the maker's websites. We 100% recommend you follow their guide and use the carrier the way it is intended to and do not modify, sew, or cut the carrier in any way that can void the warranty. Registering your carrier when receiving it will ensure that you get safety updates on the item you purchased. #2 - Use your common sense - if it's not something you would do holding a baby in your arms, then don't do it babywearing. For example, using a frying pan and heating up hot oil while holding your baby, you wouldn't do it while holding your baby in your arms, don't do it while wearing your baby in a carrier in the front. #3 Practice practice practice. Watch lots of youtube videos on wearing your baby (i.e. Wrapping Rachel) and practice with a doll, then practice with your baby over a bed with someone spotting you, and in the house in front of the mirror. #4 follow the T*I*C*K*S rule! 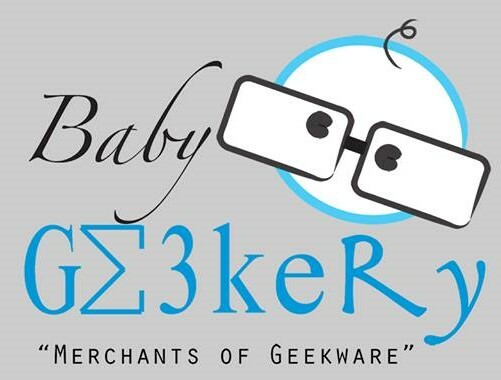 ***We here at Babygeekery does not manufacture carriers or wraps so we do not guarantee any manufacturing defects or take responsiblity for the safety of your carrier. Please get in touch with the carrier maker of your item if you receive it with a manufacturing flaw. Always inspect your carrier prior to each use for any signs of damage or wear and contact the carrier maker if you find any. If you are unable to get in contact with the maker, we will be happy to help you.